Inflammation is a BIG reason so many people around the world are suffering from back pain right this very minute. To put it really simply, inflammation is a form of swelling in your body. It’s your body’s normal response to a specific problem or injury. Once the problem has been solved, the inflammation dies down. But in today’s world, your inflammation response is active 24/7. It never shuts off. And that’s due, in large part, to the diets that most of us eat. 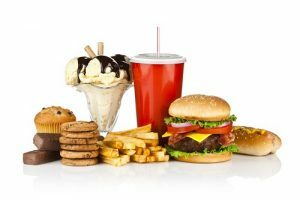 In fact, a typical western diet — loaded with refined carbs and processed junk food – is the #1 source of inflammation. This non-stop inflammation puts tremendous strain on your organs, muscle tissues and nerve endings. Those pain receptors fire off pain signals, telling you that your back muscles can’t handle the inflammation overload. 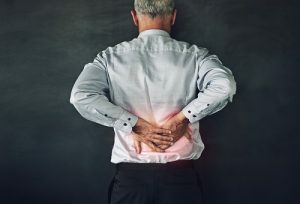 Inflammation is present when your body tries to heal a pinched nerve, or you have nerve pressure, due to things like a herniated disc or a muscle imbalance. Overworking your muscles can cause inflammation. This causes pain and delays healing. Injuries such as pulled, sprained or strained muscles or ligaments cause inflammation. And here’s something REALLY interesting… Inflammation may damage nerves so severely that they signal chronic pain even when no injury is present. Our modern diet doesn’t provide us with many of the vital nutrients we need to live pain-free. We eat a lot of foods that fire up inflammation. But most people don’t eat enough of the things that cool it down. The truth is that making a few simple changes to your diet can make a world of difference when it comes to cooling inflammation in your body… the same inflammation that keeps you suffering with back pain. Refined grains: These foods include white bread, white rice, pasta, cookies, cakes, crackers and many breakfast cereals, to name a few. Multiple studies show that refined grains lead to higher levels of inflammatory markers in the blood. Dairy: The dairy products we consume today mostly come from sickly cows that have been fed refined grains. This diet is unnatural for them. Cows were meant to eat grass and roam freely. Omega-6 fatty acids: You’ll find these inflammation-causing fatty acids in vegetable oils like corn oil, safflower oil and sunflower oil. It’s not that these fats are bad on their own, but we get way too much of them and not enough omega-3s. Our hunter-gatherer ancestors got a ratio of about 1:1. Today, our ratio of omega-6 to omega-3 is as high as 20:1! Sugar: Added sugars are everywhere, from sodas and juices to condiments like ketchup and barbecue sauce. They’re in dried fruits, yogurt and frozen dinners. When you get too much sugar in your diet, your body sends out extra “Immunity messengers” called cytokines. When you make too many cytokines, it leads to chronic inflammation. Processed foods. These foods are loaded with artificial colors and flavors. They also contain chemicals like MSG and BHT. You won’t find any of these things in nature… so it’s unnatural for us to eat them. Your body doesn’t recognize these things as food. It sees them as invaders that need to be fought off. And so your body launches into an inflammatory attack. When we load up on these unhealthy, low-nutrient foods, we don’t save much room for fruits, vegetables and other high-quality foods. Your body needs foods rich in vitamins and minerals. It needs antioxidants to fight off the negative effects of inflammation-causing foods. It also needs natural anti-inflammatory enzymes. 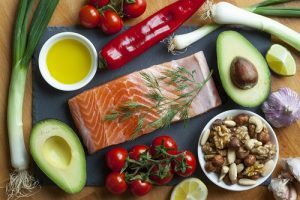 When it comes to choosing foods, I recommend fruits, vegetables, nuts and fish to cool inflammation. Now, I’m not going to tell you to stop eating everything you love. Your nutrition matters – a LOT – if you want to live without pain. Try these tips for seven days… there’s a good chance you’ll notice the difference in how good you feel. Drink More Water. Water re-inflates the discs in your spine after they’ve been depleted throughout the day (Your discs are mostly made of water). It helps flush toxins out of your system. It cushions your muscles and helps your joints function more smoothly. Eight glasses a day is a good general guideline for most people. Take a High-Quality Multivitamin. Because our diets are so deficient in nutrients, it’s important to supplement with a high-quality multivitamin. Choose a liquid, soft-gel caplet or capsule that exceeds the RDA. Use a Natural Anti-Inflammatory and Pain Reliever. Look for capsules or gel tabs that combine enzymes and herbs. I recommend Heal-n-Soothe (link) because numerous studies show its ingredients effectively reduce inflammation. And they’ve been used by traditional healers around the world for hundreds of years. Eliminate the foods listed above. You probably won’t hear anything about this from your doctor. The truth is most doctors know next to nothing about nutrition. They get very little education about it – if any – in medical school. In fact, most medical students get less than 20 hours of nutrition education in medical school… over four years1. They don’t learn anything about natural remedies. Most doctors just don’t know there’s a connection between the foods you eat and your back pain. I learned this through years of studying and learning after traditional approaches to my own back pain failed me. That’s why I’m offering you my book “The 7-Day Back-Pain Cure” today for FREE. It contains all the secrets I’ve learned to put an end to back pain forever. 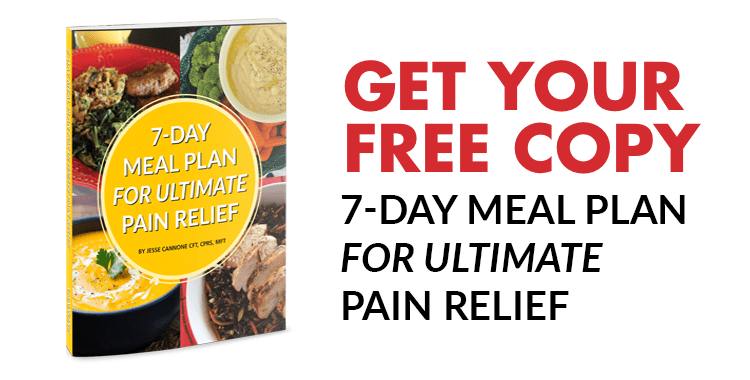 All you need to do is pay $5.95 for shipping… and I’ll send “The 7-Day Back-Pain Cure” to you right away. So sorry to learn about your suffering, Jean. Your therapist needs to hear about the new pains, so they can modify exercises for your unique needs. The exercises are designed to be a starting point. Demand they design improved exercises that take good care of you! Thank you very much it was interesting reading because am going thru some real pain in my back and your food listed above is what am going to try now and see what differences wit the pain in my back. We are happy you found our article interesting. Thank you for letting us know, we do appreciate it . 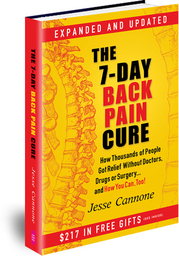 As you mentioned you are dealing with back pain, we also feel you may find our free book the “7 Day Back Pain Cure” useful to you. We believe that education is key to seeking relief from back and sciatic pain. The book discusses back pain issues along with related conditions, pain relief methods to try, various treatment options you can consider, pain relief action plans and other helpful information for you. Greetings. Enjoy your thanksgiving. 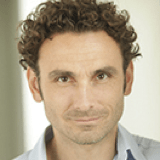 Your articles are healthy information and right to the point with other researchers. Thanks will do. God bless you. Thank you so much for your kind words, we do appreciate it. I decided to try your pills because I have terrible back pain in my lower back. There are times when I can’t find the right way to position myself to get of my bed. I also have terrible cramps in my fingers all the way up to my shoulders. My Arthritis is terrible So I ordered I Hope it can help me because I have a hard time sleeping at night because of my numbness in my right hand sometimes it’s numb and hurt all the way up to my shoulder. If it works you will be hearing from me again. Thank you for taking the time to leave your comment. We have sent you an e mail with some further information, please look out for it.